BA in Social Studies, Harvard University; MA, Johns Hopkins University. Formerly: Researcher, Kobe University; with Export-Import Bank of Japan, Washington DC; Chief Japan Strategist, Barclays de Zoete Wedd Securities. 1994, joined Goldman Sachs: 1998, Managing Director; 2000, Partner; concurrently, Chief Japan Equity Strategist and Head, Economics, Commodities and Strategy Research, Asia. 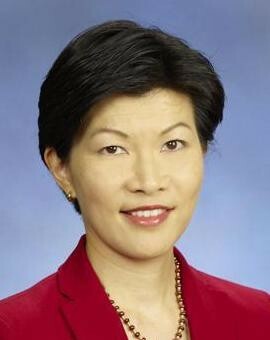 Member of the Board: Asian University for Women Support Foundation; Trustees, American School in Japan. Member: Asia Management and Firmwide Diversity Committees, Goldman Sachs; Keizai Doyukai; Advisory Council, Japan Society Fund against Breast Cancer.